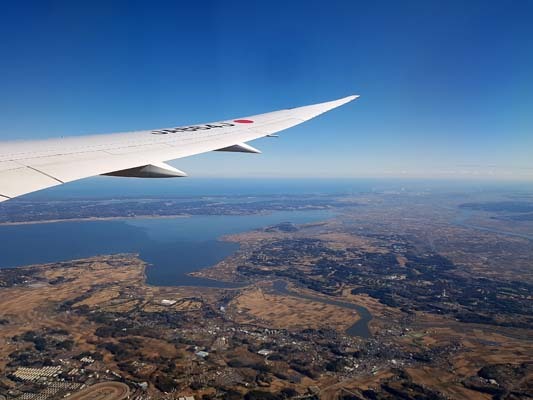 It was my first time flying internationally with JAL. They offer very delicious food that almost tastes like the food you'd get at a restaurant. Besides the comfortable seats with enough leg space even in economy class, the enterntainment system is awesome with large screens and a great selection of movies and television series. 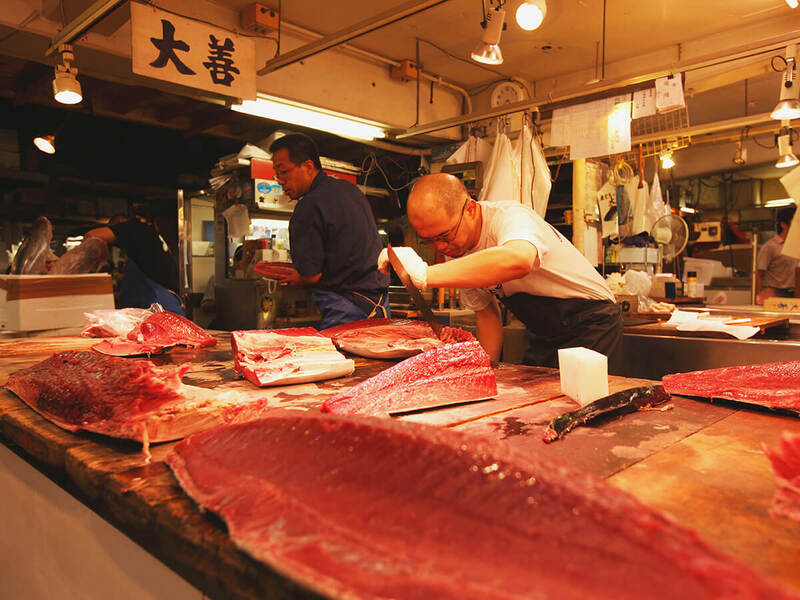 Tsukiji Outer Market is adjacent to Tsukiji Inner Market, the world’s largest wholesale fish and seafood market. The Outer Market is a shopping district that dates back to the Taisho period (1912–26). 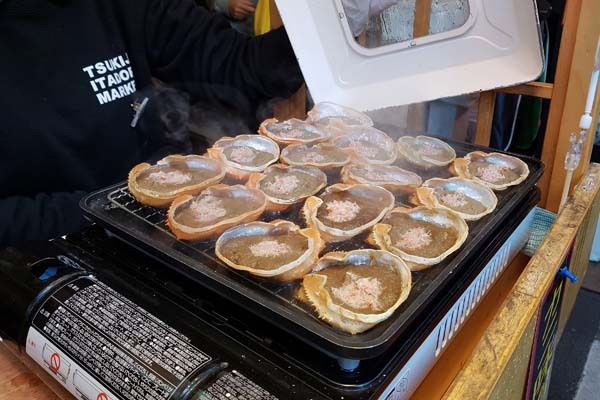 It is lined with more than 400 shops selling everything related to food, from fresh ingredients to cooking utensils.The Outer Market is also a private market—it will stay put even in the event the Inner Market relocates. Although I've been to Tokyo many times, it was actually my first time visiting the Tsukiji Outer Market. 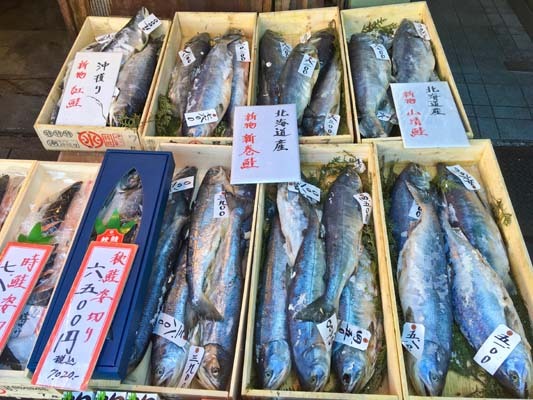 I've been to many markets in Japan, so I was very curious to see what Tsukiji had to offer. I was surprised by how huge it was and the amount of different fresh seafood, vegetables, fruit and even tableware that could be found there. It's a great place to try lots of different snacks, so don't leave without trying something. We boarded the subway and headed to our first destination - the renowned Tsukiji Outer Market. It is said to be the largest market in the world for fish, fruits, and vegetables. Walking among the bustling crowds, we soaked up the unique atmosphere of this market. Visitors will probably be happily surprised by the dizzying array of fish, fruits and vegetables, as well as the virtually infinite range of sweets and tea on sale there. I've been to Hama-rikyu Gardens before and what I really like about it is that you can enjoy the mix of traditional and modern Japan there. It's a Japanese-style garden with a lovely teahouse where you can enjoy Japanese sweets and matcha while observing the skyscrapers of Shiodome in the background. 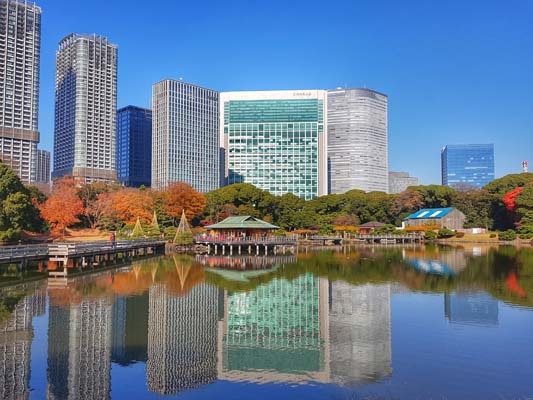 The restaurant Hibiki, located on one of the top floors of a building near the Hama-rikyu Gardens, offers great views of the neighboring skycrapers and the garden. The restaurant itself is very bright with lots of windows and a modern atmosphere. They offer a great selection of different foods, but as its close to Tsukiji fish market, you really should try sashimi when you go there (like I did). After that, we walked to the Hama-rikyu Gardens. A large pond and quaint little teahouse standing right in the middle of the gardens welcomed us warmly. As we savored the tea, we enjoyed the views of the gardens from this wonderful teahouse. 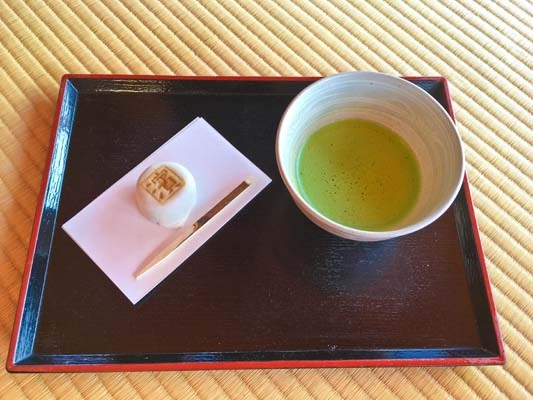 Staff from the teahouse also provided us with little pieces of Japanese sweets that go well with matcha (powdered tea), and explained to us about the history of the gardens. We were really surprised to find such a quiet spot right in the heart of Tokyo. 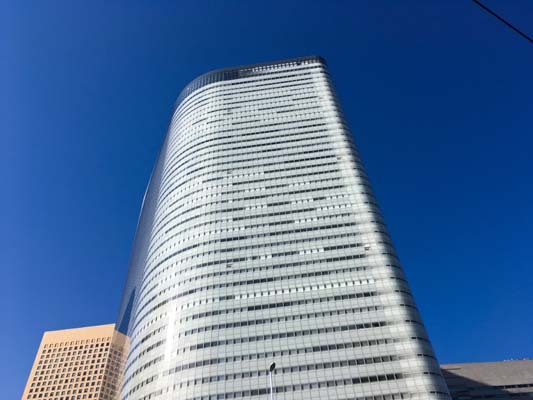 Within walking range from Hama-rikyu Gardens is the Restaurant HIBIKI, located on the 46th floor of the skyscraper Caretta Shiodome. The sashimi (raw fish) that we ordered was very fresh, and we just kept going until we had finished all of it. The excellent views from the restaurant as well as the top-quality cuisine it offers make it a wonderful place to dine. What makes it even more wonderful is the fact that the friendly staff maintain their excellent postures and attitudes at all times. 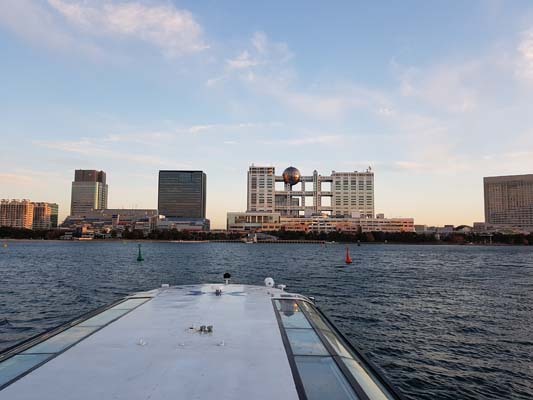 The waterbus is a great way of transportation, offering breathtaking views of Tokyo's skyline, and is much more exciting than traveling, for example by train. You can either sit inside or stay outside on the deck, which is great for taking photos. Odaiba always feels so refreshing whenever I visit. It feels like you've traveled to a different country. 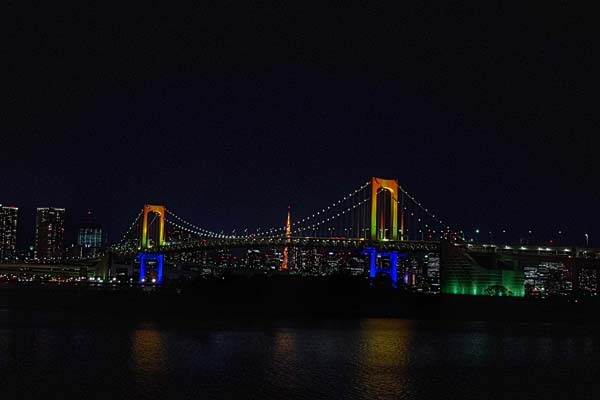 You can enjoy Tokyo's skyline and ocean views, but the highlight is the nightview of the Rainbow Bridge and Tokyo Tower. There are also a lot of shopping centers and the famous huge Gundam statue. We boarded the water bus cruise. Partly because the winds were not too strong that day, we did not feel the boat rocking on the waves at all. From the boat, we caught the view of the sun setting beyond Rainbow Bridge. The skyscrapers moving by alongside the flowing river also created a wonderful picture. We arrived at the lively and bustling Odaiba. 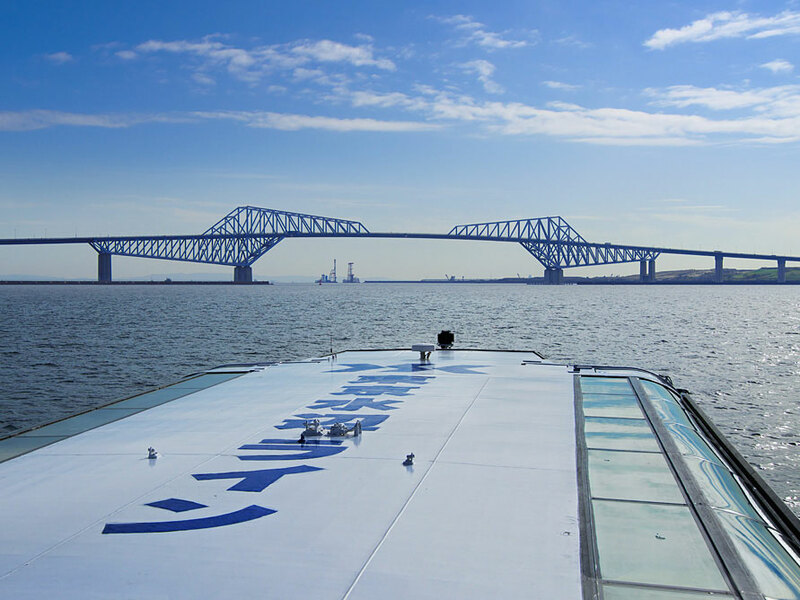 Looking at it with fresh eyes from the pier, it became clear to us that the bridge had earned the name Rainbow Bridge" because of how it shines in myriad colors. After strolling around in the commercial facilities that Odaiba is well-known for, we found ourselves standing in front of a large replica of the robot character, Gundam. 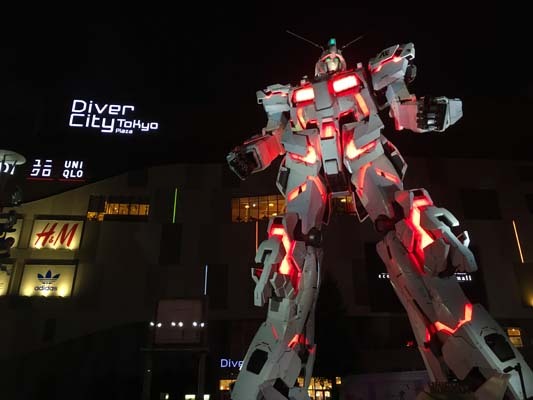 This replica would be lit up at certain fixed times, and music from the Gundam anime would play alongside with the illumination at these times." 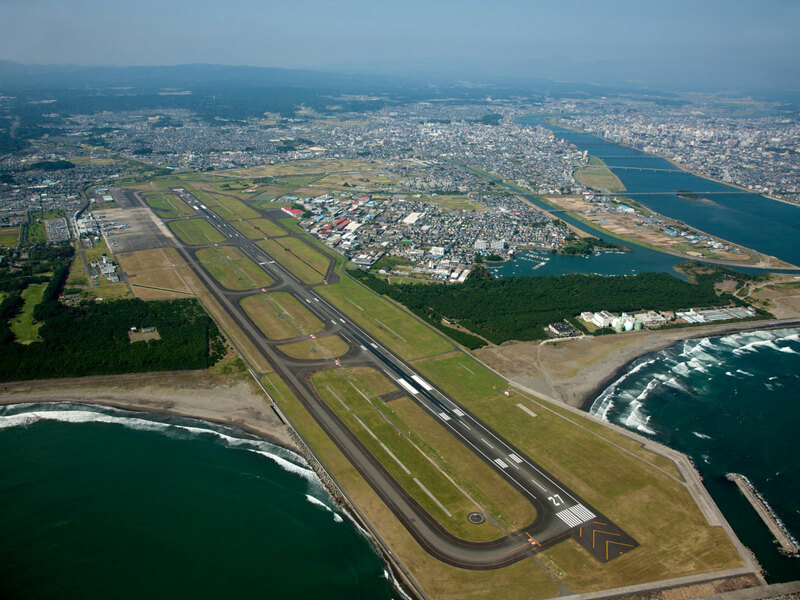 During the domestic flights between Haneda and Kyushu, JAL offered a free drink service. I was surprised at how delicious the coffee was and got another cup right away. Free Wi-Fi service during the flight was also offered, which is very convenient. I wanted to change my seat (as I still needed to take a photo of Mount Fuji from above) and the staff was very supportive. 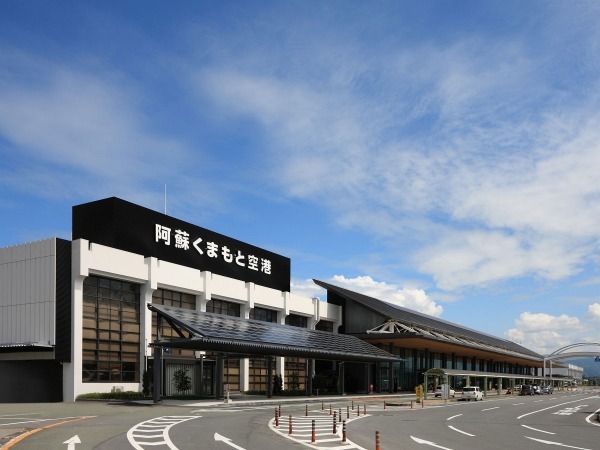 The check-in process for our JAL flight was smooth, and the staff was very friendly. At the airport, I bought a delicious bento lunchbox and a bottle of water for breakfast. 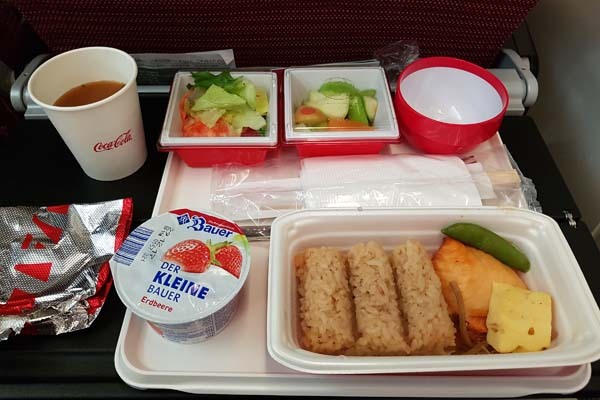 The JAL flight was punctual and comfortable, and the flight attendants brought us as many drinks as we wanted while I ate the breakfast I had bought at the airport. 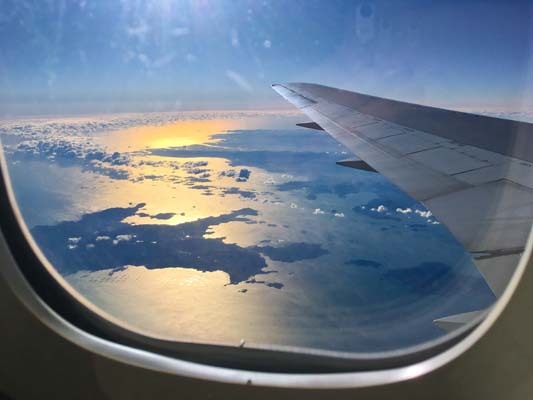 During the flight,we can see the Japanese Alps on our right, and the Japanese coastline on our left. Get off at Takachiho Bus Center. Takachihoya is a brand-new restaurant that just opened in 2017. 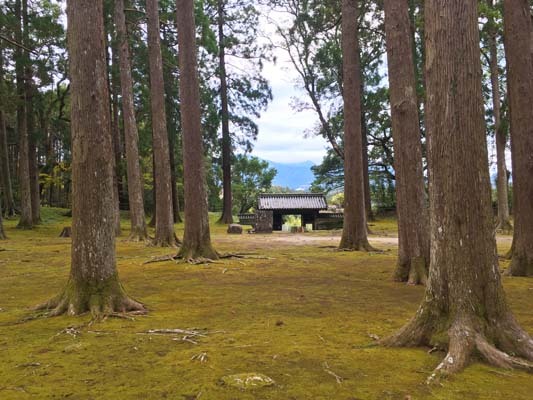 It's conventiently located between Takachiho Bus Center and Takachiho Shrine, so you'll probably pass by it on your way. A lot of love and effort was put into the interior design and the food was presented in a cute way. 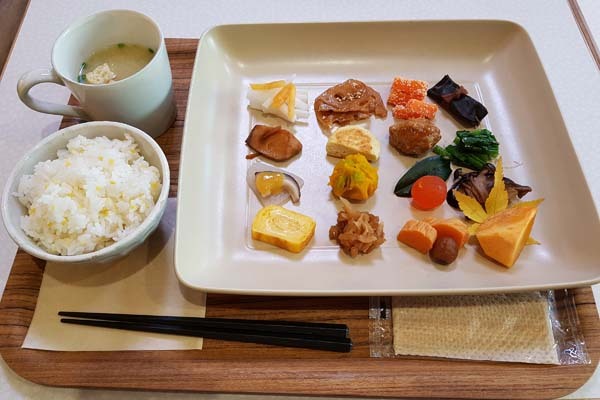 You can get a delicious and filling lunch set for about ¥1,000. 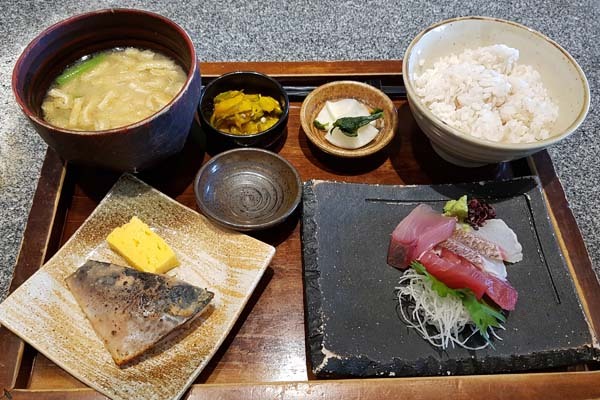 The restaurant TAKACHIHOYA, which opened only this year, has a contemporary interior, and offers top-class Japanese cuisine using locally-sourced ingredients such as spinach, fruits, and fish. The wonderful atmosphere enhanced the flavors of the dishes. Diners here can ask for second helpings of rice for free. 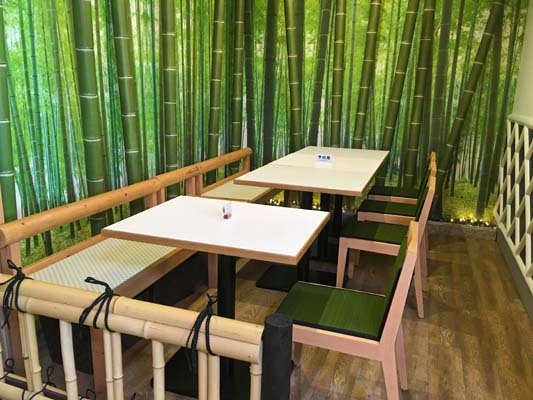 We were especially charmed by the chairs used in the restaurant, which are made from tatami straw. It was already my second time visiting Takachiho. 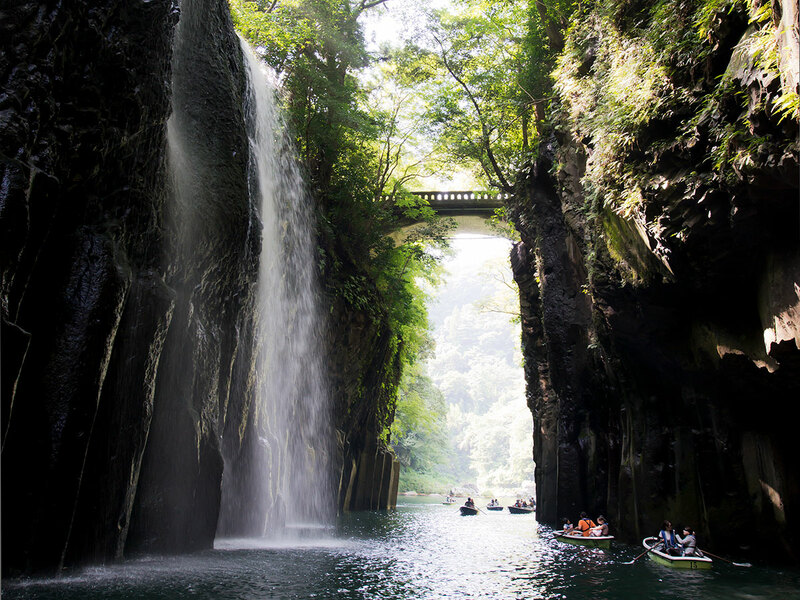 What fascinates me the most is Takachiho Gorge. 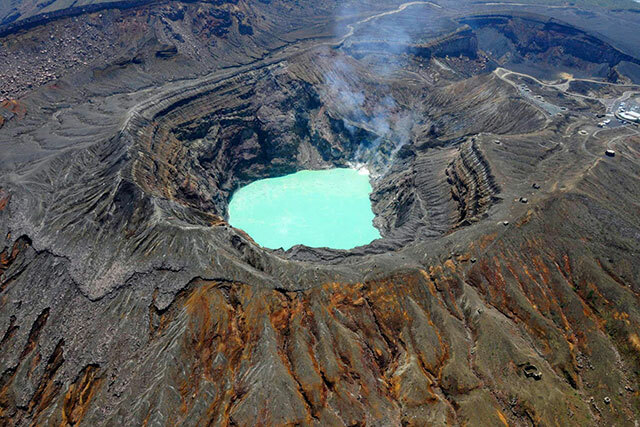 It's a place that makes you appreciate how beautiful, but also scary, nature can be. 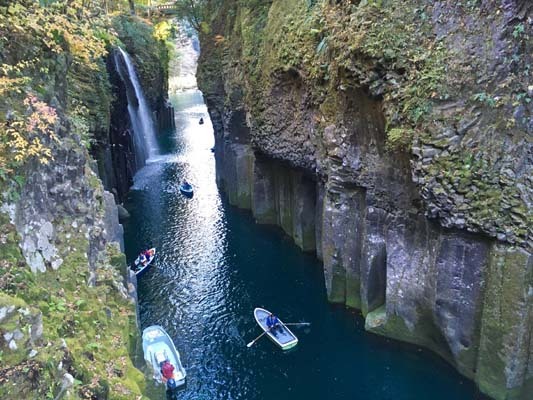 The stunning rock formations of the gorge came to life after a volcano eruption. Near Amanoiwato Shrine is the entrance to Amano Yasugawara, a famous power spot where you can create your own pile of stones to make a wish come true. There's also an interesting legend behind it concerning in that cave, pantheon of all the gods and goddesses conferred on how to get Amaterasu, the sun goddess to come out of the rock cave. I love these kind of places! 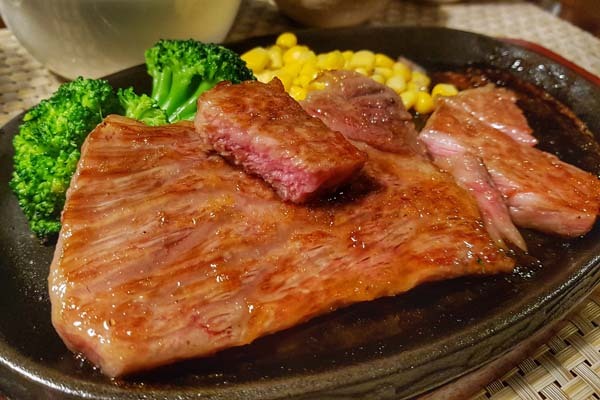 Miyazaki beef has won many prizes, so if you want to try fine and delicious wagyu, Takachiho might be one of the best places to do so. We went to a Takachihogyu Restaurant Nagomi that specializes in Takachiho beef; even locals visit regularly. The beef practically melts in your mouth. It was my second time seeing the kagura dance performance at Takachiho Shrine, but this time with more background knowledge. Out of the four performances, the last one, Dance of Goshintai," was the most entertaining. Be aware that the dancer with the male role will randomly hug one female viewer during that last performance randomly. You're lucky if it's you as being hugged by him means being blessed." We arrived at Takachiho Gorge, and got into a boat. To keep the cameras from becoming wet, we had to constantly keep watch to avoid going near the waterfall. 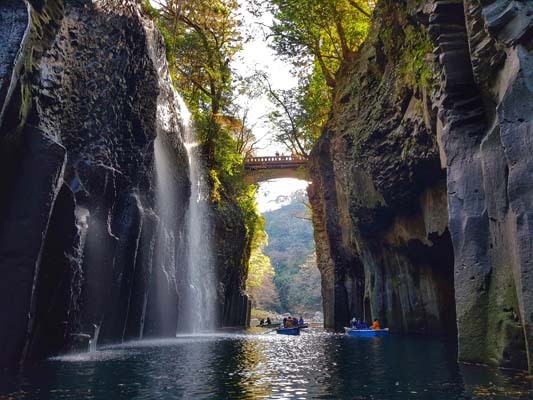 This is a sightseeing spot that has truly earned its title as a scenic spot of Miyazaki; the waterfall and rocks, as well as the river flowing between the rocks, made for a truly breathtaking sight! 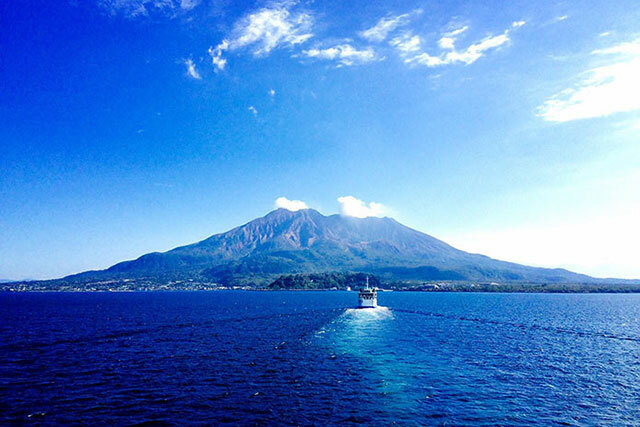 We stayed on the boat for a while, taking in the majestic views of nature. 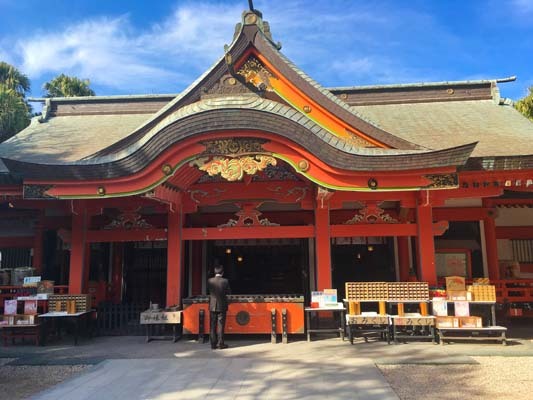 We made a trip to Amanoiwato Shrine, famous for the legend of the goddess of the sun. 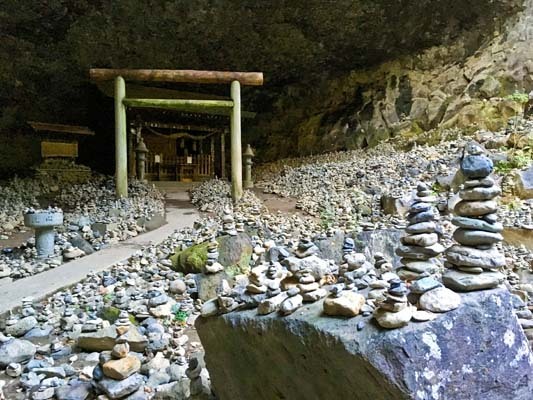 The grotto itself was located behind the shrine and not open to visitors, but we were able to enter Amanoyasugawara, where visitors offer up their prayers to the gods. 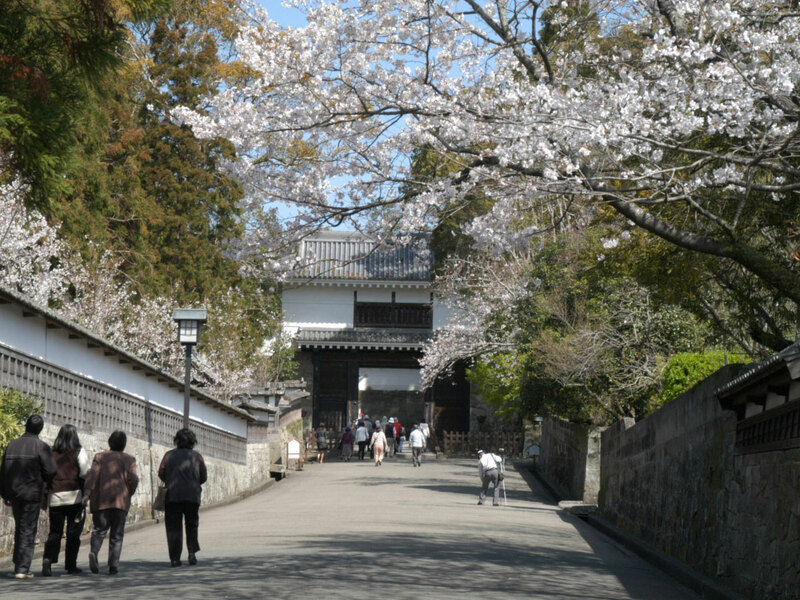 This place is characterized by its numerous stacks of rocks and the torii (gate leading to the entrance of the shrine). These stacks of rocks were built by visitors, and each stack represents a wish made by a visitor. We also made our wish as we built our own stack of rocks. Photo-taking is not permitted at some areas at the back of the shrine, but it is fine to take pictures of the torii and the rock stacks. 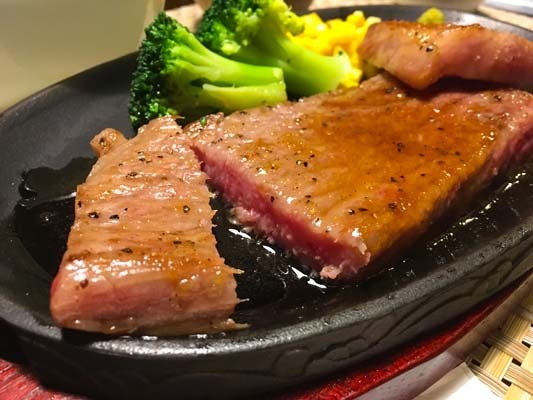 In the evening, we went to the famous Takachiho beef restaurant Nagomi, highly rated for its delicious steak. The dining room was very comfortable, and we wanted to stay there forever. The quality meat and locally-sourced vegetables melted on our tongues, and we were lost for words at the indescribable sense of bliss that enveloped us. 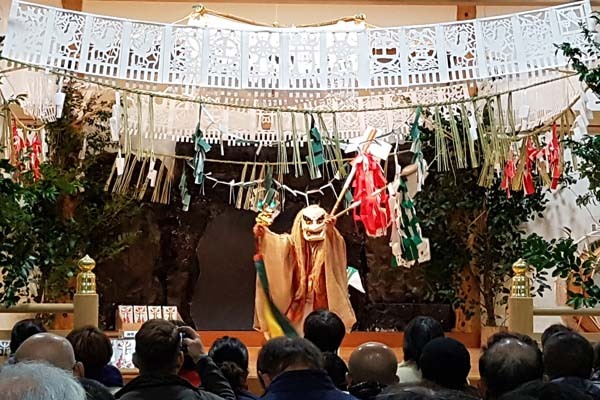 We visited Takachiho Shrine to watch a dance performance known as Kagura," which takes place at the shrine from 8:00 p.m. to 9:00 p.m. every evening. Kagura is a style of traditional dance that is closely linked to Japanese history and Shinto myths. 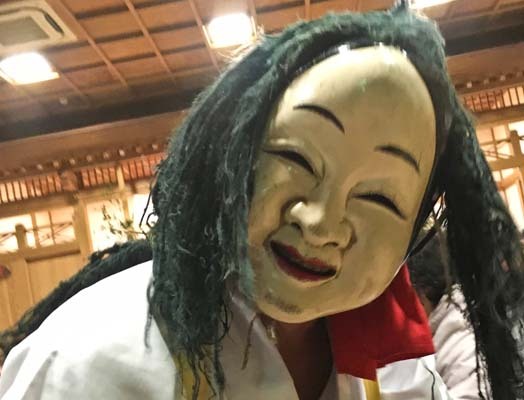 Among the dances that we watched at Takachiho Shrine, there was one that told the story of Amaterasu and how she hid in the grotto. We were enchanted with the live performance and dancers, making the evening an unforgettable memory for us. Kagura may be very traditional, but it also has a pleasant and sensual aspect to it. " 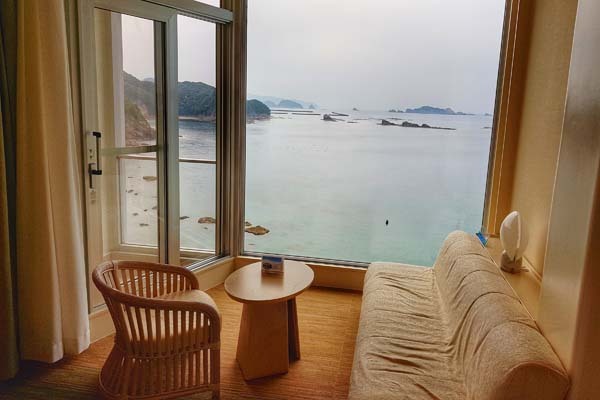 At Cape Hyuga, stunning views of the ocean are awaiting you. There are several rock formations that impressed me. My favorite part was the Sea Cross," a rock formation in the ocean that forms the kanji for "kanau" which translates to "fulfill a wish." So I prayed for my wishes to come true." The next morning, we headed to Cape Hyuga with its impressive views of precipitous cliffs and beautiful coastlines. Although there is a path leading to the cliff walls, it is fortunately blocked up by a fence, so we did not have to go through any terrifying experiences. We explored the surroundings, and were so enraptured by the views that we were reluctant to leave. Along the coast, we also saw a rock carved out into the shape of a cross (Sea-cruz). It is said that this rock formation had been created through erosion by the waves. 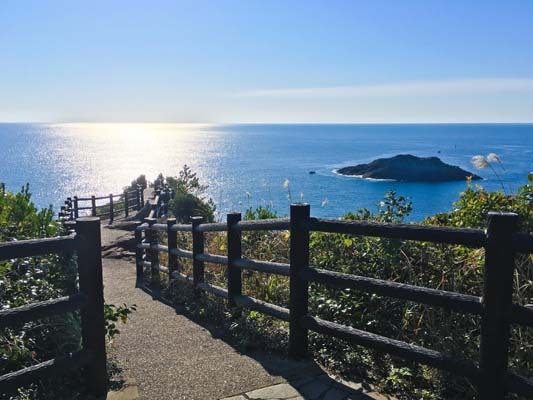 I love the path along the ocean that leads to Aoshima Shrine that's located on a small island. 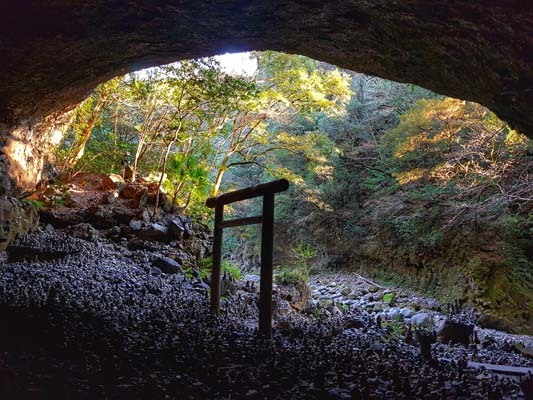 While walking towards the red shrine gate, you can enjoy unique rock formations called Ogre’s Washboard." If you have a bit of time, it's also a great place to search for shells." 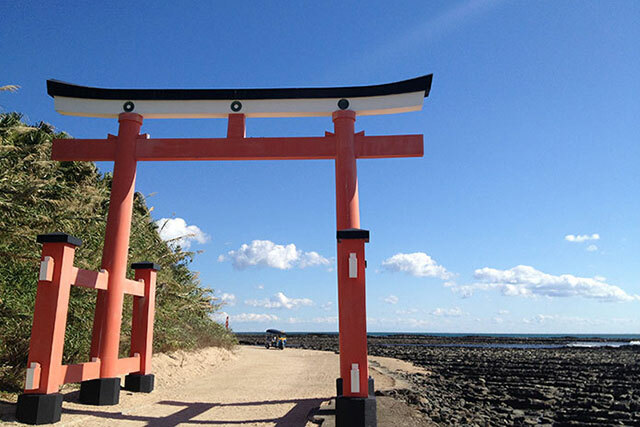 Aoshima, where Aoshima Shrine is located, is connected to the Kyushu mainland by a long bridge. 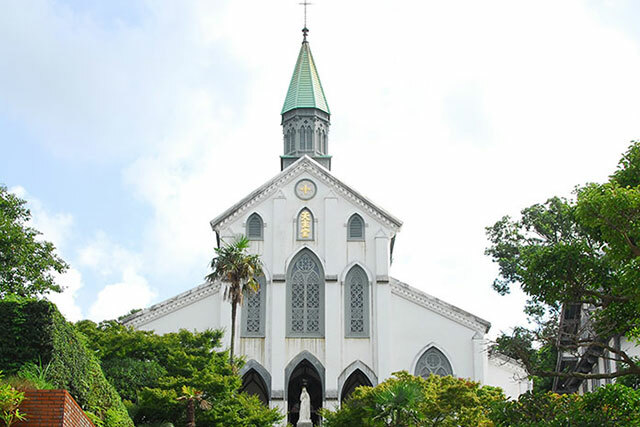 It also has white sandy beaches, and an attractive jungle in the center of the island. 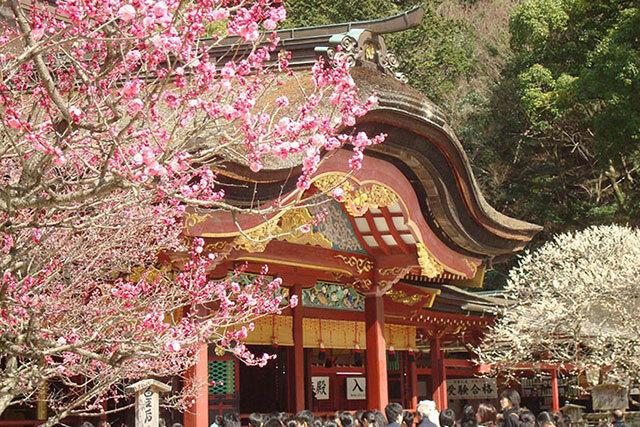 Many couples visit this island because the shrine is said to fulfill their wishes. For the same reason, one can find many lucky charms for couples on sale here. A rock formation known as the Ogre's Washboard" is visible from the side of the bridge. Its name comes from its appearance, which bears a close resemblance to a washboard. " The castle town of the Obi domain was prosperous during the Edo period. 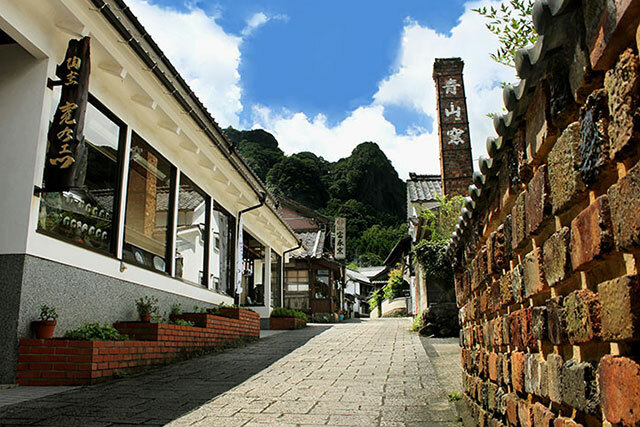 Its old townscape of samurai residences and stone walls has earned it the nickname the Little Kyoto of Kyushu." 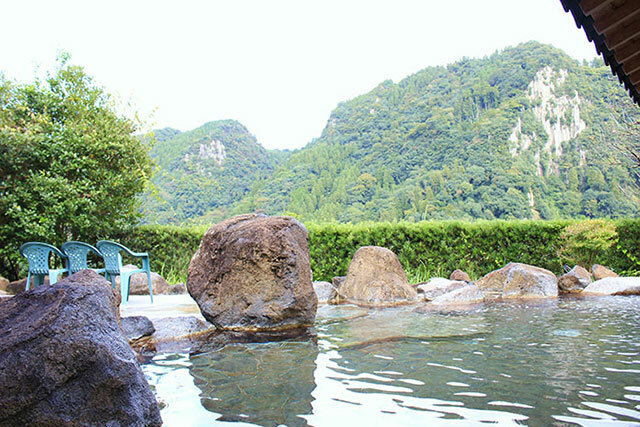 In addition to tours of the castle ruins, you can try your hand at a unique form of archery called Shihan Mato or enjoy the local delicacies of Obiten fried fish and the thick egg roll called Atsuyaki tamago. The rental bicycles available at Tourist Information are a great way to get around!" I'm a huge castle fan and Obi Castle was surely one on my long list. Unfortunately, the honmaru (castle tower) is gone now, but the entrance gate, part of the walls, the inner moat and the outer moat—which is actually a river—are still there. Very unique is that there's an elementary school on the castle grounds, so the kids get to enter through the castle's gate and climb the stairs along the impressive castle stones every single day. We were given a tour of Obi Castle by the guide from the castle. Obi Castle is said to have been built by around the mid-15th century. With the exception of one gate, little remains of the original building and external walls from the time it was built. An Obi cedar stands in the place where the main building used to be (ruins of the former inner citadel). 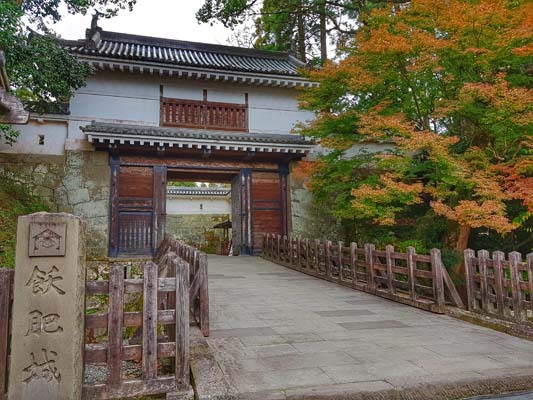 Visitors can see armors and other items of historical interest at the Obi Castle History Museum and former samurai residence. The Nango Prince Hotel offers spacious rooms, stunning ocean views, a swimming pool and even an outdoor hot spa. Even while having breakfast you can enjoy the lovely ocean view. The location is convenient if you plan to visit Cape Toi. We stayed at Nango Prince Hotel that night, and it was one of our favorites on this trip. 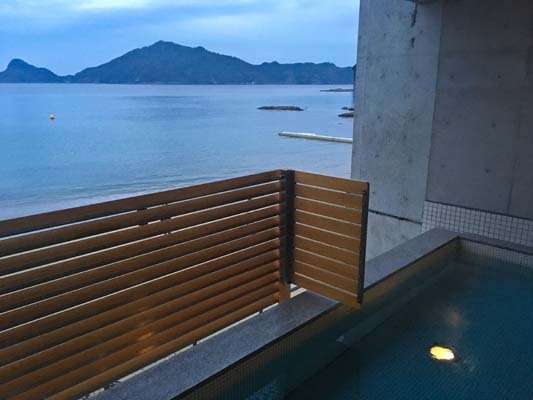 We enjoyed breathtaking views of the sea from our bedroom and the accompanying bathroom. 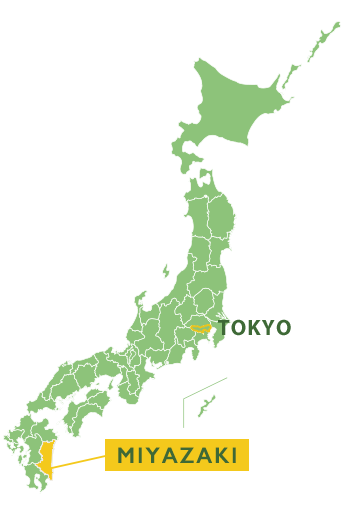 The cape is located at the southernmost tip of Nichinan Kaigan Quasi-National Park. Clusters of sago palms grow wild, untouched by humans, with the nearly endless panorama of the Hyuganada Sea spreading in the distance. 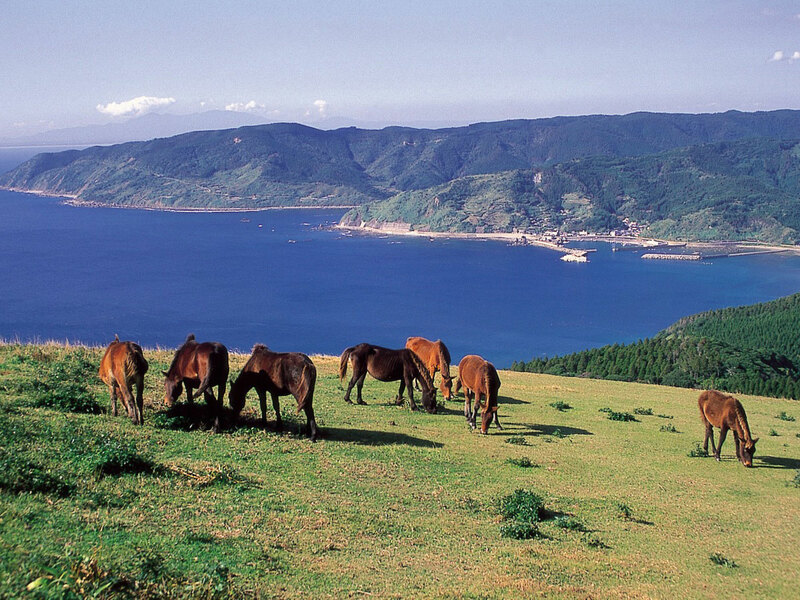 The cape is home to about 100 wild horses called Misaki uma" that are a national treasure." 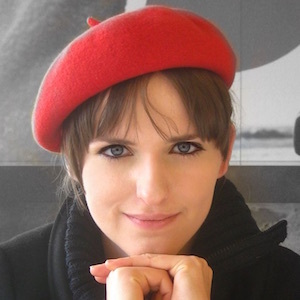 You can find wild animals at Cape Toi (e.g. 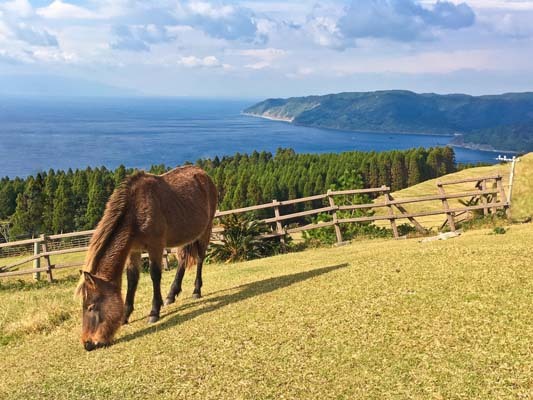 wild boars), but the main attraction is the over 100 wild horses called Misaki-uma." You can observe them with beautiful ocean views in the background. There's also one of the very few lighthouses in Japan that you can actually enter." Cape Toi is famous for the wild horses that run around freely. According to the guard at the park, more than 100 wild horses live on the cape, and roam around the vast grounds in spring. 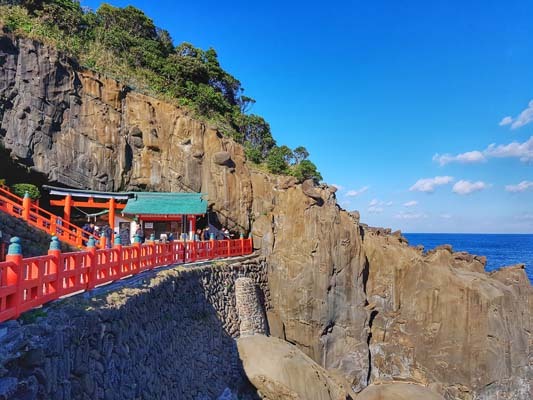 Udo Jingu Shrine is a very unqiue shrine located in a cave with beautiful views of the ocean and a huge selection of omamori (lucky charms). One deity of the shrine is a rabbit, so you'll find a few cute rabbit statues. I tried throwing undama (lucky balls), but unfortunately none of them went into the target. This was my second visit and my second time throwing. Guess I'll need to visit a third time. 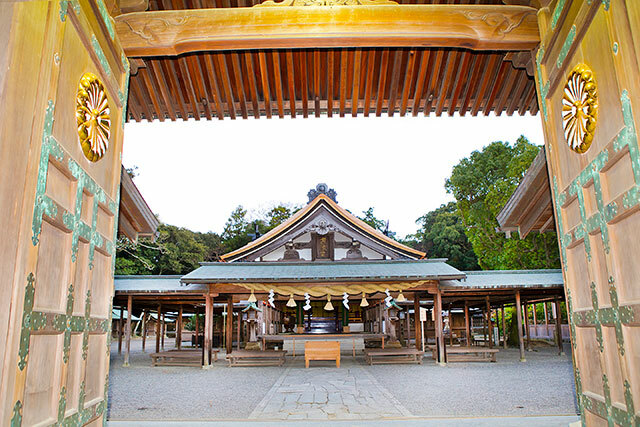 Udojingu Shrine is dedicated to the father of the Emperor Jimmu, regarded as the first emperor of Japan. 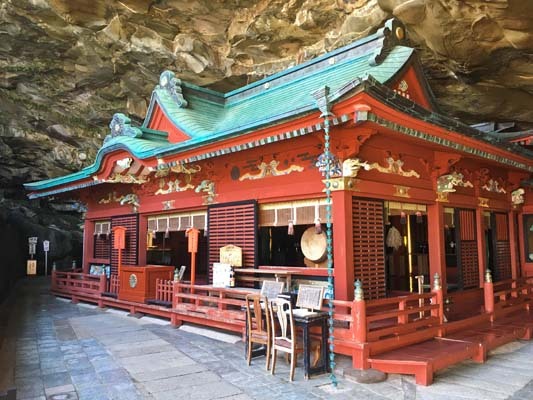 The brilliantly colored shrine is located inside a cave, giving it a very unique atmosphere. 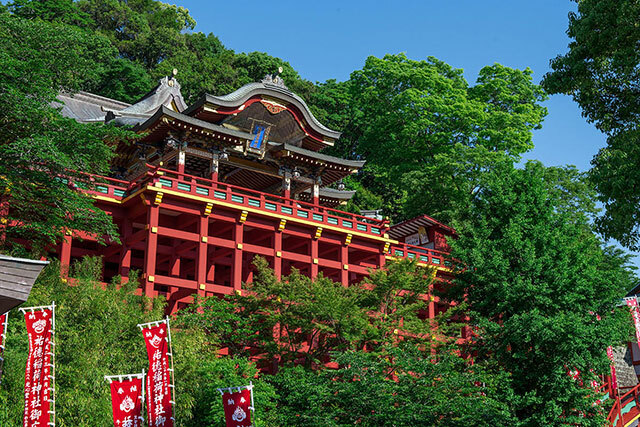 According to an old legend, the father of the first emperor, Emperor Jimmu, was raised with water dripping from a rock shaped like a breast in the cave, and candy made from this water. Water continues to drip gently from that rock even to the present day. This shrine is said to grant blessings and good fortune to worshippers praying for conception, pregnancy, safe delivery, and childrearing. 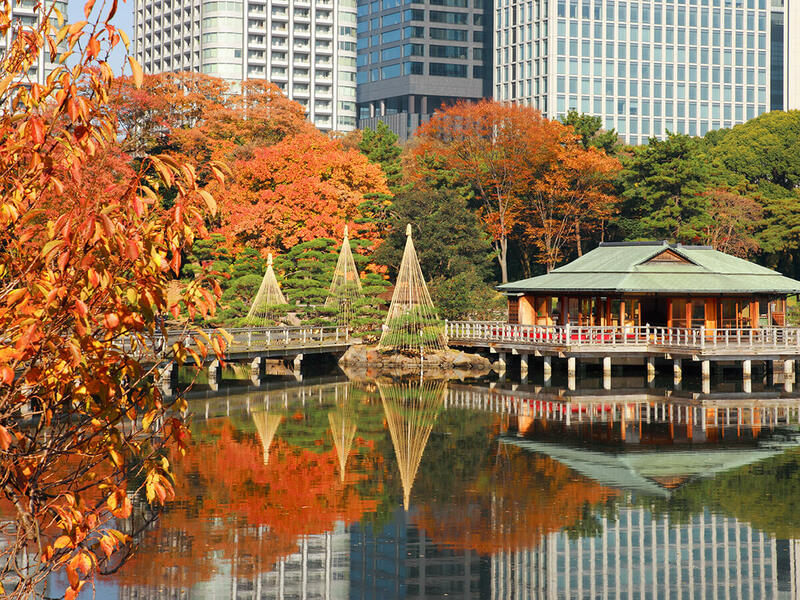 Tokyo is always a great starting point for your journey throughout Japan. 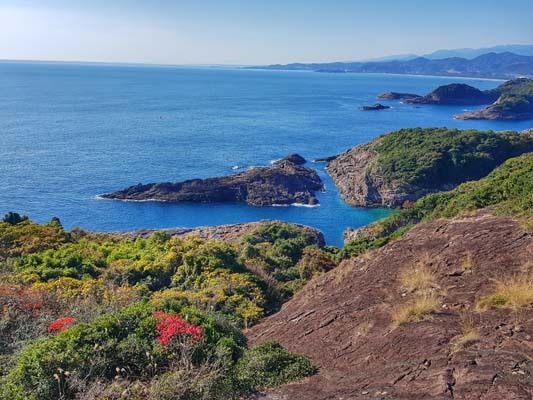 However, if you want to see a great contrast to the big cities of Japan, Miyazaki Prefecture is a good choice. With the palm trees and the beautiful blue ocean, you'll have the feeling of summer all year round. On top of that, you'll get to try fresh and delicious food. It was my second time there and I can never get enough of it! This tour, which took us to Tokyo and Miyazaki, was a very interesting and wonderful trip for us. 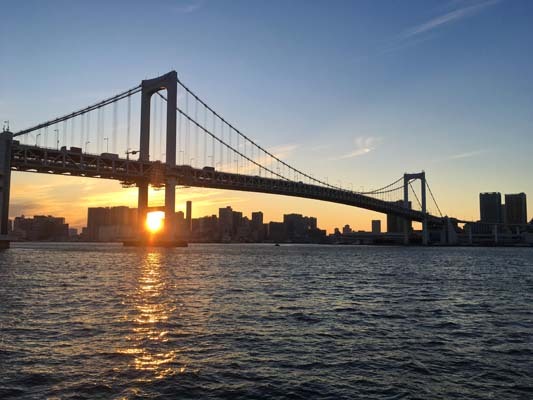 In Tokyo, we experienced the lively atmosphere of the market, and were excited by the views of the sunset that we saw from the boat. Shopping at the bustling Odaiba and the delicious sashimi cuisine at Restaurant HIBIKI rounded off our day to perfection. 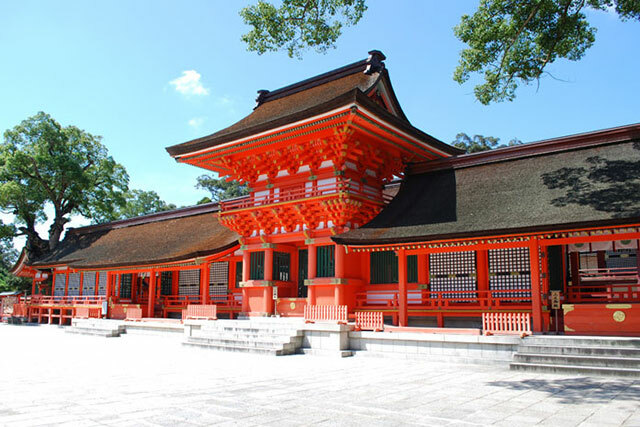 On the other hand, in Miyazaki, we set our eyes on the particularly beautiful Udojingu Shrine, and encountered superb cuisine at each restaurant. 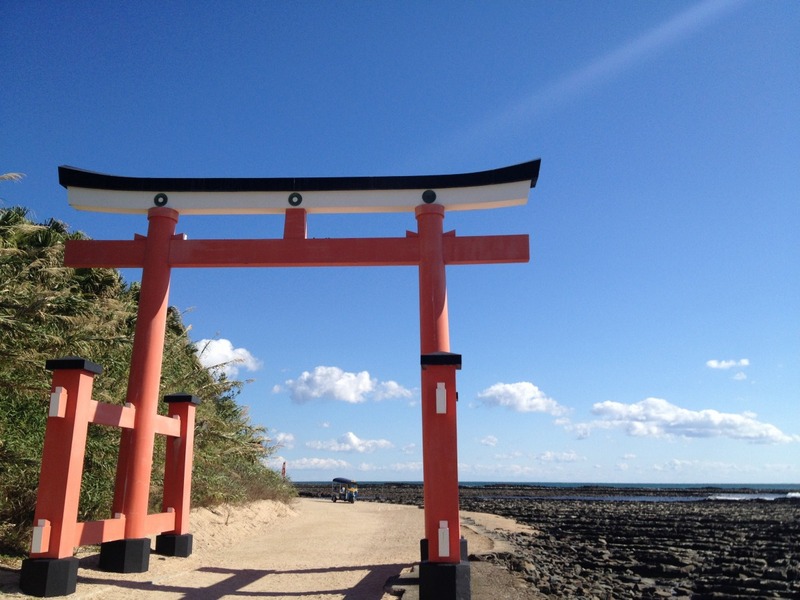 Aoshima, with its red shrine, as well as the collection of stacked rocks, also left a deep impression on us. It was precisely this stark contrast between the mega city and the cozy streets of Miyazaki that made this tour an unforgettable one. 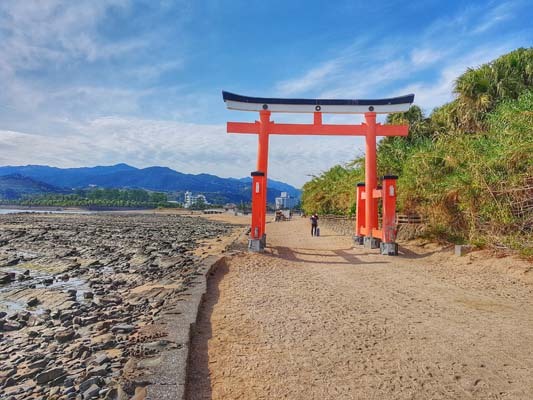 If you want to enjoy Japan away from the hordes of tourists, we would definitely recommend that you explore Japan via this route. When in Tokyo, the waterbus is always a good way to explore Tokyo—esprcially for first-time visitors, as there's always so much to see. 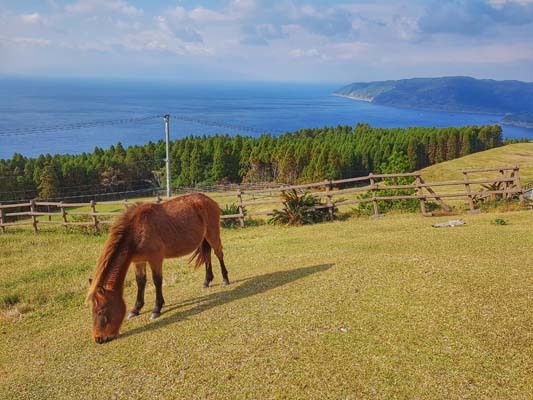 If, however, you want to escape hectic Tokyo and experience a different side of Japan, a trip to rural Miyazaki in Kyushu is a great idea. 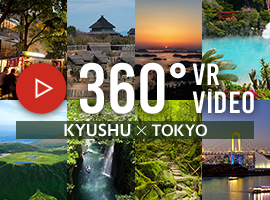 The palm trees, beautiful ocean and delicious food will make you fall even more in love with Japan! 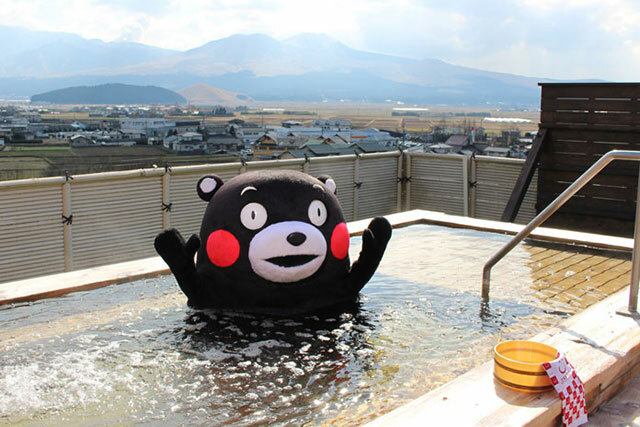 This itinerary, which covers Tokyo and Miyazaki, is perfect for those visiting Japan for the first time, and for those who are interested in the sights of the big city Tokyo as well as the unique nature and history of Miyazaki. 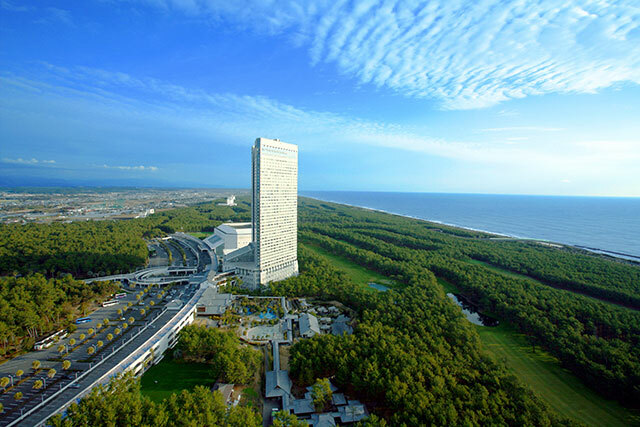 Because of the vivid contrast in the appeal of the two cities, it is especially recommended for travelers who enjoy exploration and those who are nature-lovers.